With the rich and creamy taste of milk chocolate caramels and the fragrant whiff of pick roses still perfuming the air from Valentine's Day, it is appropriate to savor the hints of romance that tinge the atmosphere in Eugene O'Neill's "A Moon for the Misbegotten." West Hartford's Playhouse on Park will be scrapping away the dirt covered rocks at the Hogan's Connecticut farm to reveal layers of dreams and despair, hopes and unhappiness, promise and pain until Sunday, March 5. This is theater at its best, moving and emotional, touching and tender, heartbreaking and redemptive. Elise Hudson is wonderful as the strong, unvarnished Josie who, despite her hard scrabble life, still believes in fairy tale endings. She stands up to and battles her old goat of a father, brought to stinging life by Conan McCarthy. He has already chased away his two older sons and now Josie has aided son Mike (Michael Hinton) to flee to find a better life. The two are schemers and as tenant farmers have little to hang on to except the promise of their current landlord James Tyrone Jr. that he will eventually sell them their tiny square of land, once his inheritance from his newly deceased father is settled. They cling to this hope of possessing their own land and are dismayed when word reaches them that their contentious and wealthy neighbor T. Stedman Harder (Thomas Royce Daniels) has made a higher offer. Set at their dilapidated farm house in 1923, beautifully detailed by Emily Nichols, Josie and her conniving dad look to James Tyrone, an actor who likes his liquor too well, as the solution to all their problems. Anthony Marble's James professes to be in love with Josie but he is besieged by demons that won't free their grasp. He is tenderly conflicted as he tries to be the man he wants to be and give Josie love. To secure their future, a plot is hatched for Josie to seduce James and have her pa catch them, forcing him to do the honorable deed and marry her. There is a nobility of spirit as the "misbegotten" lovers are seduced by the moonlight, as tenderly directed by Joseph Discher. For tickets ($30-35-40, seniors and students $25), call Playhouse on Park, 244 Park Road, West Hartford at 860-523-5900, ext. 10, or online at www.PlayhouseOnPark.org. Performances are Wednesday and Thursday at 7:30 p.m., Friday and Saturday at 8 p.m. and Sunday at 2 p.m. Watch for a series of Comedy Nights coming March 18, April 15 and June 3, all $15, 8 p.m. A special play reading will take place on Tuesday, February 28 at 7:30 p.m. of “The Telling and Re-Telling of Lucy and Owen, $5. Come be beguiled with a glass of whiskey and a slice of moonlight as Eugene O'Neill weaves a heartbreaking tale of possibilities and promise. When Nathan Birnbaum, the son of a cantor, was seven he found himself supporting the family when his father died suddenly. It wasn't until he met and married Grace Ethel Cecile Rosalie Allen, a sweet Irish Catholic girl who loved to dance, that the beloved comedy duo of George Burns and Gracie Allen hit the big time. If you listened to the radio in the 1930's to 1950 and watched television in the 1950's, then you probably are familiar with that comic couple. 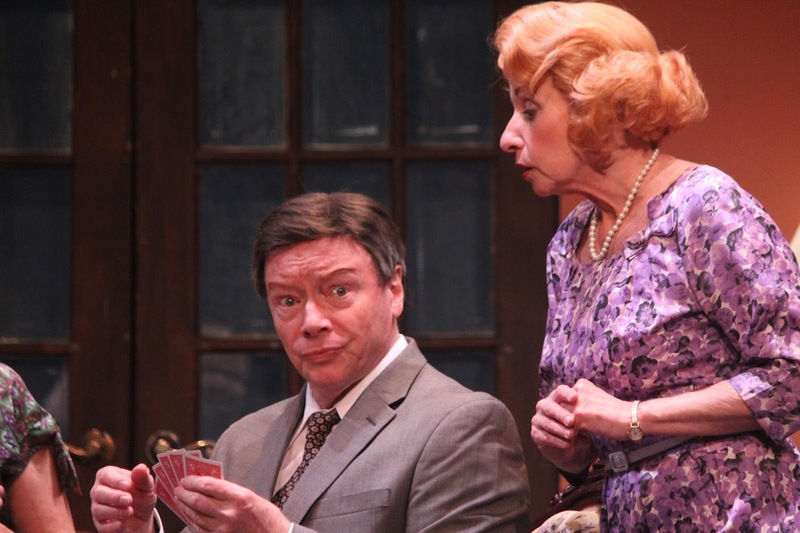 The Seven Angels Theatre in Waterbury is welcoming that particular pair until Sunday, March 5 for the benefit of the theatre's educational programs as well as their HALO Awards to honor area high school musical productions. "George and Gracie The Early Years" utilizes some of the actual episodes of the total 291 television shows that Artistic Director Semina De Laurentis used to frame this tribute show to the genius of these vaudevillians. She also captures the heart and soul of Gracie, with all her innocence, naiveté and pure zaniness, with what George described as "illogical logic." When they originally created their act, Gracie was the straight man to George's jokes. He realized early on that Gracie received the majority of the laughs and so he switched places becoming the straight man. He is famous for quipping: "All I had to do was say, 'Gracie, how's your brother?' and she talked for 38 years. And sometimes I didn't even have to remember to say 'Gracie, how's your brother?' "
Semina's Gracie is a sweetheart as she puts herself in unbelievable situations, whether it's not buying a set of encyclopedias, mastering an intricate game of cards, getting a manicure, hiring a private detective or accompanying George to Washington to meet the president. Helping or hindering her along the way are her next door neighbors Harry (John Swanson) and Blanche (Sarah Knapp) Morton and the radio and television announcer Harry von Zell (Tom Chute). Semina's Gracie is without guile, gifted with the ability to make her character beautifully sincere and believable. Her match is the incomparable R. Bruce Connelly, with his trademark cigar and perfectly timed straight lines, set off with an arched eyebrow and a "can you believe that?" grin. They are charm personified as they soft shoe through life with no need for a four letter word, unless that word is love. For tickets ($39-57), call the Seven Angels Theatre, ! Plank Road, Waterbury at 203-757-4676 or online at www.SevenAngelsTheatre.org. Performances are Thursday at 2 pm and 8 pm, Friday at 8 pm, Saturday at 2 pm and 8 pm and Sunday at 2 pm. Watch for the Play readings ($10) on February 19 and 26 and April 2 at 6 pm. Interested in adult acting classes being offered in March and April on Tuesdays? Call the theatre. Plan now for Badda Bing Comedy Night on March 11 AT 8 PM. Let nostalgia reign as the memories flood your senses, with the welcome return of that beloved couple known for comic timing and perfectly tuned delivery: George and Gracie. Imagine combining fascinating conversation with a special guest, a delicious banquet of food, stimulating dinner guests and a worthy cause, all in one evening. 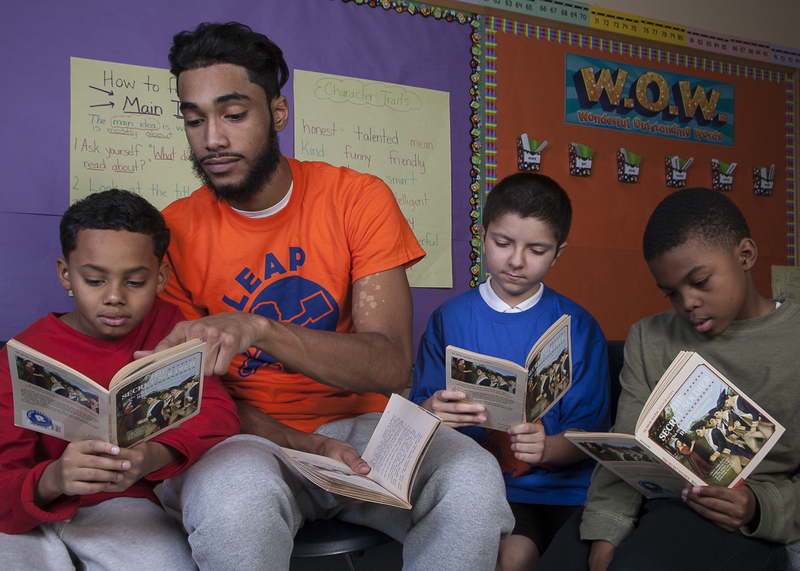 Mark your calendar for the 22nd Annual LEAP Year Event being held on Thursday, February 23. The night begins with a cocktail reception and six book signings by a half dozen guests of honor from 5 to 7 p.m. at The Hopkins School, 986 Forest Road, New Haven, followed by an elegant evening of dining and discourse at an individually hosted home in the area at 7:30 p.m. LEAP, founded in 1992, works with a 1000 children and teens from ages 7 to 15 in the poorest sections of New Haven and pairs them with 200 area high school and college students for enrichment and stimulation. Programs in literacy as well as art, computer sciences, athletics, cooking, camping, swimming and team building are encouraged. 100% of the proceeds of this unique fundraiser will benefit this “Create a New Haven for Our Children” event. The hardest part of this evening will be deciding where you’d like to dine, of the over thirty interesting selections. Perhaps you’d like to go to Guilford to the home of Eileen and Andrew Eder for “East Meets West” and get a personal peek at the life of Syrian artist and architect Mohamad Hafez who was forced to emigrate from his homeland. His Middle Eastern streetscene sculptures reflect his individual struggles. Select the New Haven home of Nancy and Rick Antle for a conversation with author, agent and former book editor Betsy Lerner whose recent book “The Bridge Ladies” reveals her challenging relationship with her mother in a highly personal, contentious and often humorous way. Musically inclined? How about an evening with pianist and songster Andy Rubenoff at the home of Patricia and Davis Gammon of Hamden. If politics push your buttons, then you might like to be stimulated by a talk by Yale historian Beverly Gage who promises to make our current political scene understandable. Sign up for the evening at Lawrence and Paulette Fox’s home in Woodbridge. Want to rub elbows with a Pulitzer Prize- winning playwright, then go to the home of Thomas and Susan Duffy of New Haven where Donald Margulies will provide insights on his past and current literary endeavors. For a step in a familiar direction, attend Anthony and Joanne Scillia’s Branford home where Gordon Edelstein, Long Wharf Theater’s Artistic Director for the past 15 years, will discuss two world premieres he has helmed, Steve Martin’s “Meteor Shower” and the soon to be seen “Napoli, Brooklyn” in conjunction with New York’s Roundabout Theater. Select a guest of honor who is knowledgable in an area that will stimulate your conversational skills and then sit back and enjoy all the food - for edible enjoyment and for tantalizing thought. 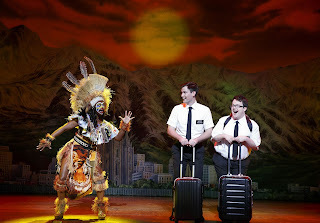 PHOTO BY JOAN MARCUS OF "THE BOOK OF MORMON"
If your doorbell rings, it could be a neighbor requesting to borrow the proverbial cup of sugar, a mailman needing your signature on a package, a Fuller Brush or Avon salesperson, or even someone trying to convert you to a different religion. If you are planning to purchase tickets for one of the hottest shows on the planet, then the latter option is most likely, especially if the proselytizers are from the Church of Jesus Christ Latter Day Saints. 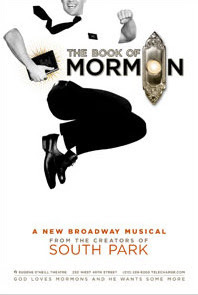 Of course, the show is the famous or infamous "The Book of Mormon" and it is bringing its controversial and comic rhetoric to The Bushnell Center for the Performing Arts from Tuesday, February 14 to Sunday, February 19. This highly irreverent satire is the winner of nine Tony Awards and was written by the creators of the television cartoon series "South Park," Trey Parker, Robert Lopez and Matt Stone, so seriousness was never on the entertainment menu. The 15 million people who subscribe to the church founded by Joseph Smith in the 1820's are better known as Mormons and this musical is loosely based on their history, very loosely. In upper New York lo those many decades ago, Mr. Smith had a vision of an angel and he saw books of golden plates buried in the ground. His work was continued by Brigham Young who moved the new religion to the borders of Utah where it found a following and a home. Now is the time to reserve your seat in the pews of the Bushnell to meet a pair of eager missionaries who are being sent out from Utah to educate and convert the uninitiated. Elder Kevin Price has envisioned his missionary zeal in Orlando, Florida but to his dismay he finds himself paired with Elder Arnold Cunningham, a most unworthy partner, with an assignment of Uganda. Clearly there are no castles or chances of meeting Mickey Mouse. Their goal is to bring enlightenment to the masses, in the dark and remote and uncivilized regions of Africa. Not a plum assignment to say the least. For two years, Elder Price will find himself saddled with the nerdy and nebbishy Elder Arnold and asked to achieve the impossible: bring religion to natives who are busy battling war, poverty, famine and AIDS. They have little time or interest for prayer. The valiant team meet obstacles at every turn as they struggle to make a difference and improve the lot of their flock. Repeatedly their faith is tested but, despite all odds stacked against them, many miraculous things occur, all while singing and dancing and telling incredible stories. ($36.50-122.50), call the Bushnell, 166 Capitol Avenue, Hartford at 860-987-5900 or online at www.bushnell.org. Performances are Tuesday to Thursday at 7:30 p.m., Friday at 8 p.m., Saturday at 2 p.m. and 8 p.m. and Sunday at 1 p.m. and 6:30 p.m.
Be sure to answer your doorbell when these heavenly messengers arrive to offer you salvation, redemption and an angelic choir of humor. A talented trio of fine actors bring to life a raw, riveting and ultimately redemptive drama "Sunset Baby" by Dominique Morisseau at Hartford TheaterWorks until Sunday, February 19. Brittany Bellizeare's Nina has spent decades resenting her father Kenyatta for abandoning her and her mother in favor of a cause. Now that her mother has died from her addiction to drugs, Nina can't forgive the man she holds responsible. Her legacy from her mom is a cache of letters written by her mother to her father but never sent and they suddenly have a street value that could change Nina's life forever. 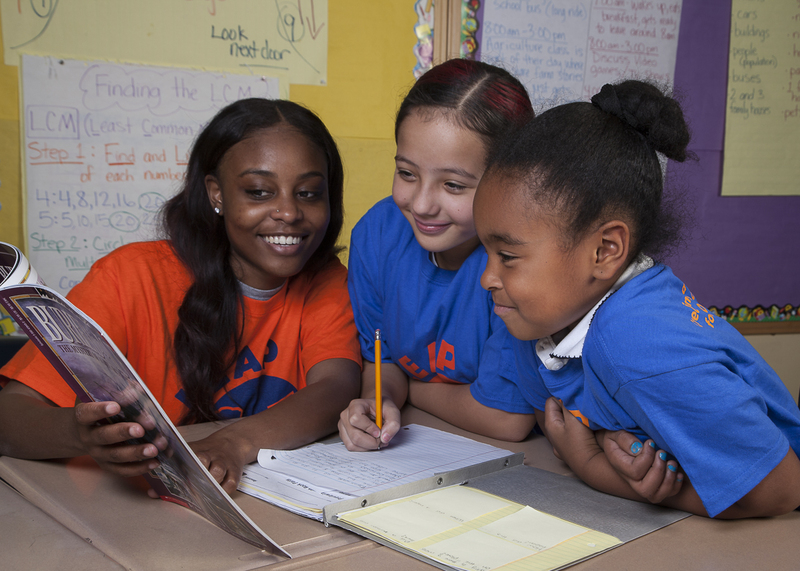 To Nina, the letters are personal and precious. To her boyfriend Damon, an intense Carlton Byrd, they represent freedom and choice. By selling them to the highest bidder, he can pay back child support for his seven year old son and then be free to take Nina away to London or wherever she wishes to go, to find sand, seashores and sunsets, a simple life she craves. Tony Todd's Kenyatta is suddenly at Nina's apartment. He wants absolution and forgiveness and he wants his wife's letters. The three circle and lunge, swipe words and punches, scream and cajole, persuade and argue, each with his or her own agenda. The interaction is visceral and violent. Who will win, everyone or no one? As real African-American individuals they stand for revolution and change, for parenthood and family, for love and forgiveness. Their story is deep and complex and real and it is felt in every syllable of every word. Each has made difficult choices and now must face the consequences for those selections. Reginald L. Douglas directs this darkly textured tale about activism for a revolutionary cause, even if it means sacrifice, prison or even death. For tickets ($40-65, seniors at Saturday matinee $35, student rush $15 if available), call TheaterWorks, 233 Pearl Street, Hartford at 860-527-7838 or online at www.theaterworkshartford.org. 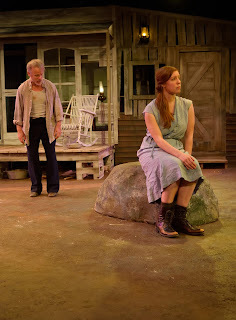 Performances are Tuesday to Thursday at 7:30 p.m., Friday and Saturday at 8 p.m., and weekend matinees at 2:30 p.m.
You will not soon forget the intensity of the struggle between father and daughter and the ocean of conflict that separate them as they frantically swim for shore and safety. 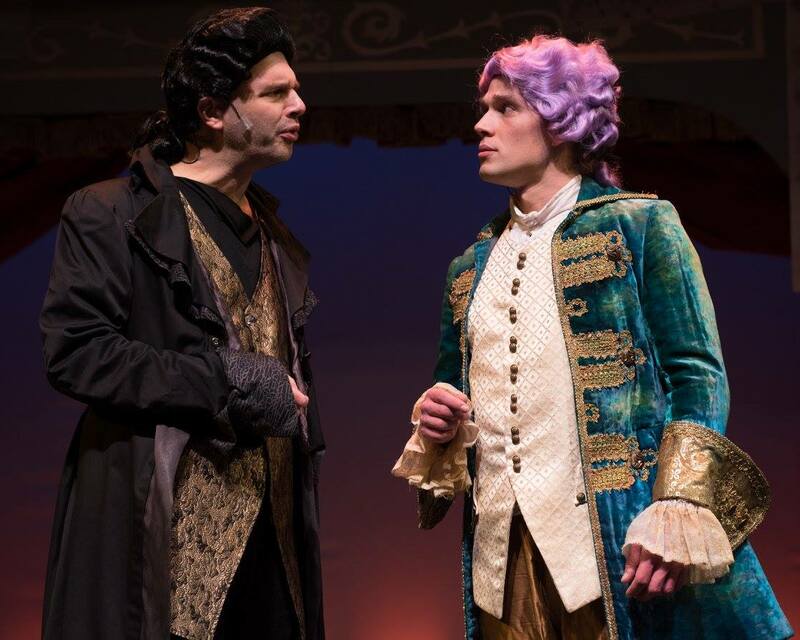 GEOFFREY GILBERT AS SOLIERI AND CHRIS KOZLOWSKI AS MOZART IN "AMADEUS"
Capturing the musical essence of Peter Shaffer's intriguing drama "Amadeus" is an ambitious undertaking. Finding the perfect pair of actors to portray the complex relationship between two musical geniuses like Wolfgang Amadeus Mozart and Antonio Salieri is challenging, but fortunately the Downtown Cabaret Main Stage Theatre, with Producing Artistic Director Eli Newsom at the helm, has accomplished that handily and you are invited to see the involving results weekends until Sunday, February 19. The Bridgeport Downtown Cabaret at 263 Golden Hill Street is the setting for this drama of professional rivalry, winning five Tony Awards including Best Play. Geoffery Gilbert's Salieri is a long time admirer of the child genius Mozart and likes to believe his own compositions are equal if not superior in quality to the young competitor. When he meets him, he is disappointed to find Mozart's actions are foolish and no indication of his artistic commands. Salieri soon develops an unhealthy regard for the new up and comer who threatens to take his own place in the view of the Emperor (Andrea Pane) and the nobility. Gilbert is masterful in his portrayal of a man consumed by jealousy and envy who does everything in his powers to discredit his rival and assume his own rightful place of prominence. Salieri feels he deserves the accolades and secretly works behind the scene to make Mozart appear unworthy of praise. For Mozart, a commanding Chris Kozlowski, Salieri appears as a friend and mentor, his champion, his savior. In reality, Salieri blames God for giving Mozart unusual powers and denying those same qualities to him, who he believes deserves them more. He even stoops to seduce Mozart's wife Constanza (Anna Fagan) in order to achieve his nefarious ends. Along the way, Salieri's cook, Cindy Cardoza, and valet, Enriquez Rivera, narrate the action in the courts. The play opens with an aging and dying Salieri confessing his sins of poisoning Mozart and then flashes back to prove his claims. Nothing Salieri does, however, can help him rise above the level of mediocrity in the world of music. William Stark's royal set and Jessica Camarero's lavish costumes add to the finely tuned direction by Lance Gray that keeps the story rolling to its disturbing conclusion. For tickets ($23-28), call the Downtown Cabaret at 203-576-1636, option 0 or online at www.MyCabaret.org or www.tickets@mycabaret.org. Performances are Friday at 7:30 p.m., Saturday at 5 p.m. and 8:15 p.m. and Sunday at 5 p.m.
Come be caught up in the intrigue between two rivals, where one is naively innocent of the other's mean spirited motives and machinations.